Two pressuretrols, No main vents, no skim tap. What to do? 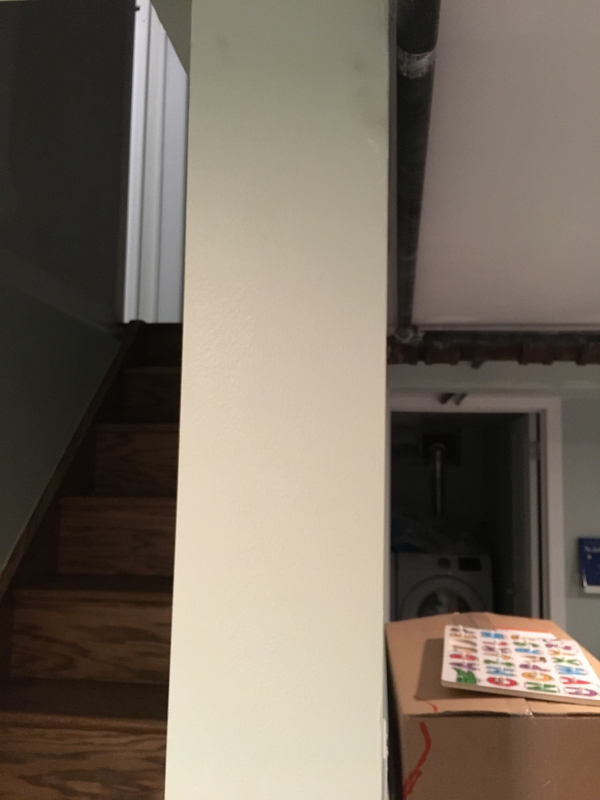 New homeowner, one pipe steam heat in single family home, recent oil-to-gas conversion and still trying to figure everything out. 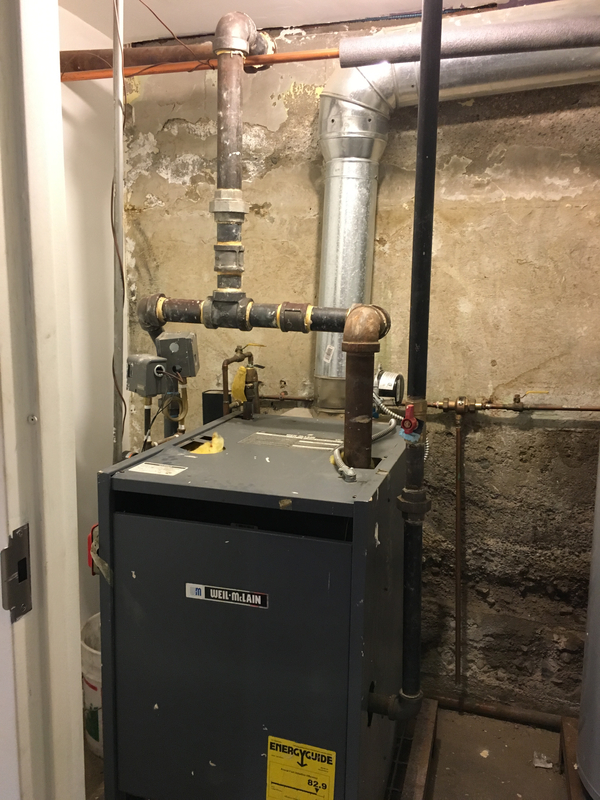 Boiler is 2 years old, and survived 1-1/2 winters of pipe banging and problem solving. 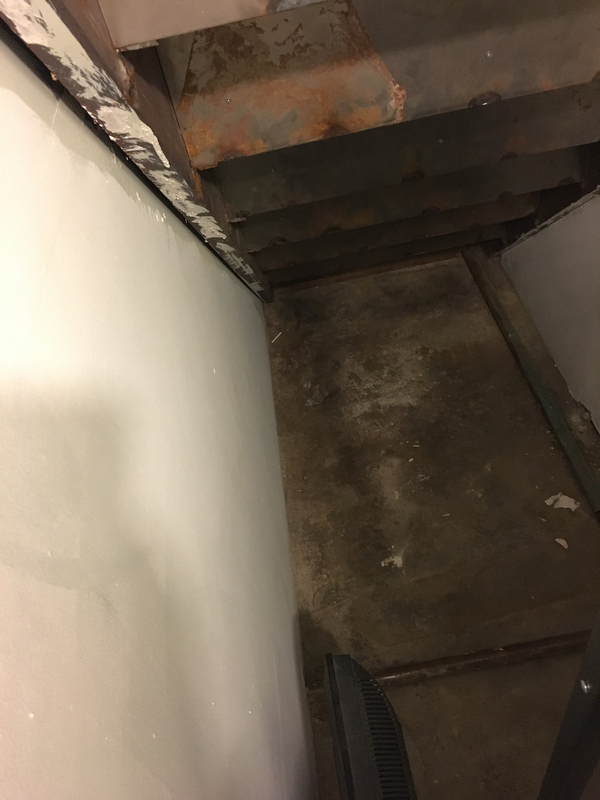 It started off as a nightmare, the pipe banging, water hammer, burning oil smell, problem radiator vents, etc. but with the help of what I learned from this forum I managed to bring things to a more tolerable state. Unfortunately I don’t have enough room to install a skim port on the boiler as it is close to a wall, so I have simply flushed it many times and let the auto feeder refill, and is much better than before. Last winter, I realized that I have TWO pressuretrols. Is this correct?? 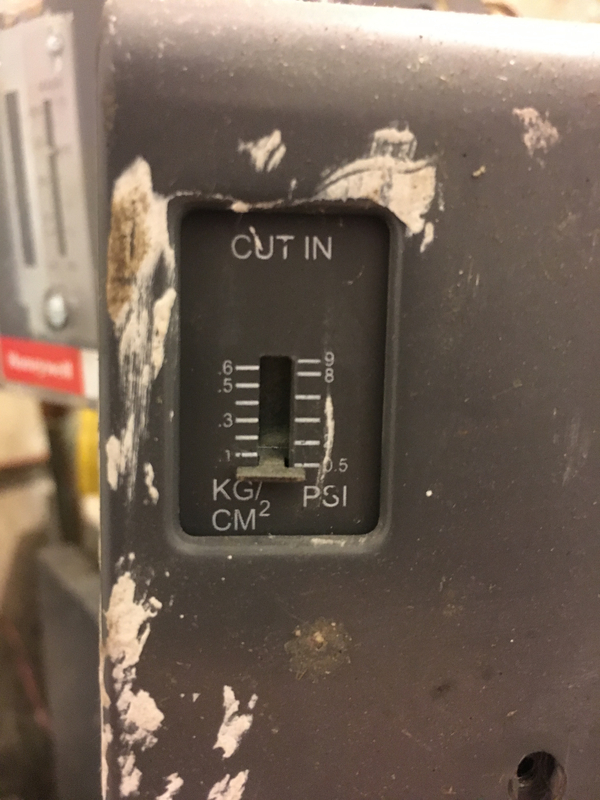 I tried to dial down the settings to the recommended 1psi that I often see mentioned here on the Wall. However in doing so, the heat would not fire on. The guy that helped with the final stages of the conversion came back and scolded me for messing with the settings, saying that the pressure needs to be higher. (He’s a commercial plumber so perhaps this is true for the apartment buildings he typically services?) He reset it and the system has been just okay, not great, but I think we can do better. I still believe that the pressure is set too high. 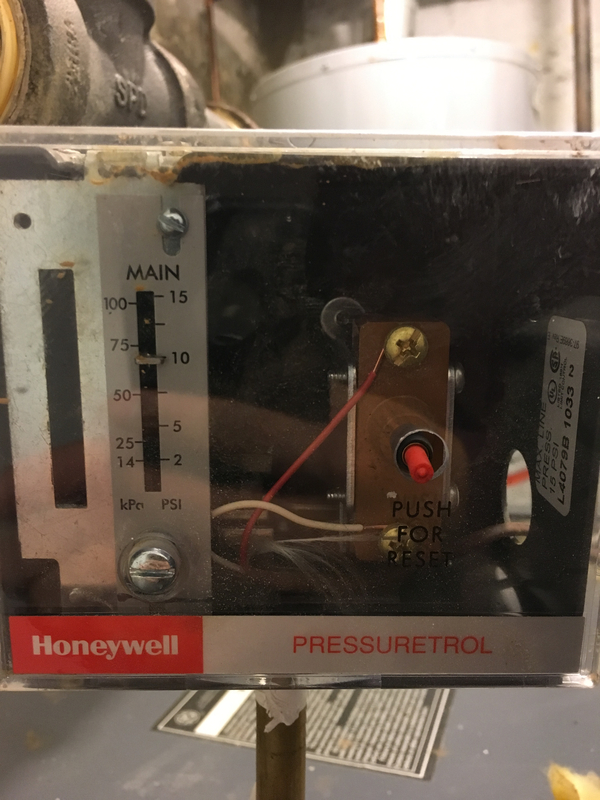 How, and what setting, do I properly adjust each pressuretrol? Is it correct to have both of these, or should one actually be a Vaporstat (they look similar!) I am afraid to mess things up again and not be able to start up the boiler again. I just read about cleaning out the pigtail today, so maybe this was the reason lower pressure didn’t work on my previous attempt? Additionally, I do not have any main vents, but I will start another discussion for this. 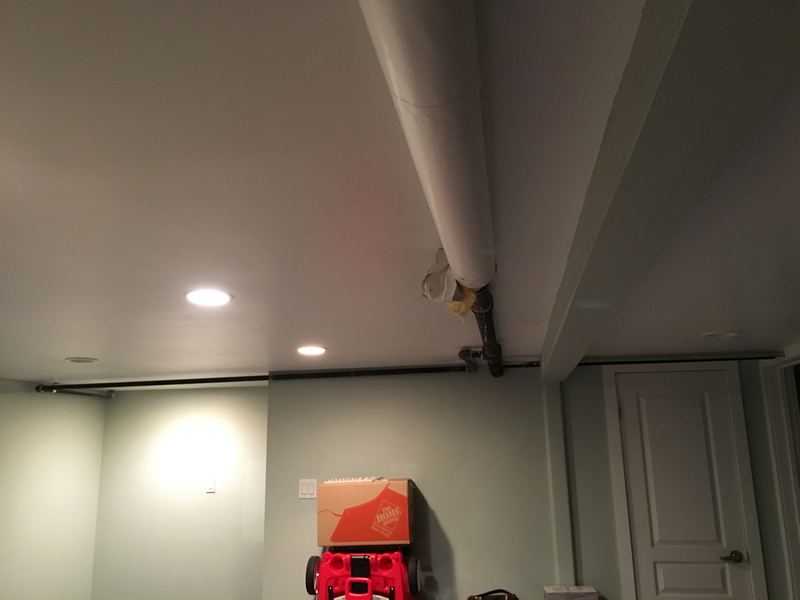 I would like to know where and how to install these myself, in my finished basement where the majority of pipes and elbows are hidden in the ceiling. Most of the main is exposed except for the ends and returns. That gray Box (Pressuretrol) is the main Pressuretrol that controls the system pressure. It looks like the Cut-In is set set properly at .5 PSI. Inside that box is a white wheel that should be set at "1" which is the Differential. 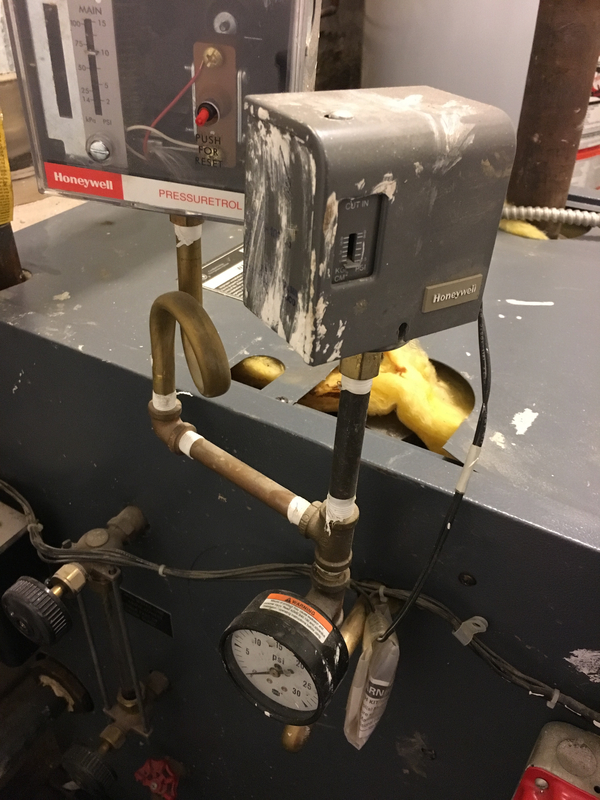 When the pressure gets to 1.5PSI, the boiler will temporarily shut down until the pressure gets back to .5 PSI. The second Pressuretrol is a Manual Reset Pressuretrol. I would set it to between 3 and 5PSI. 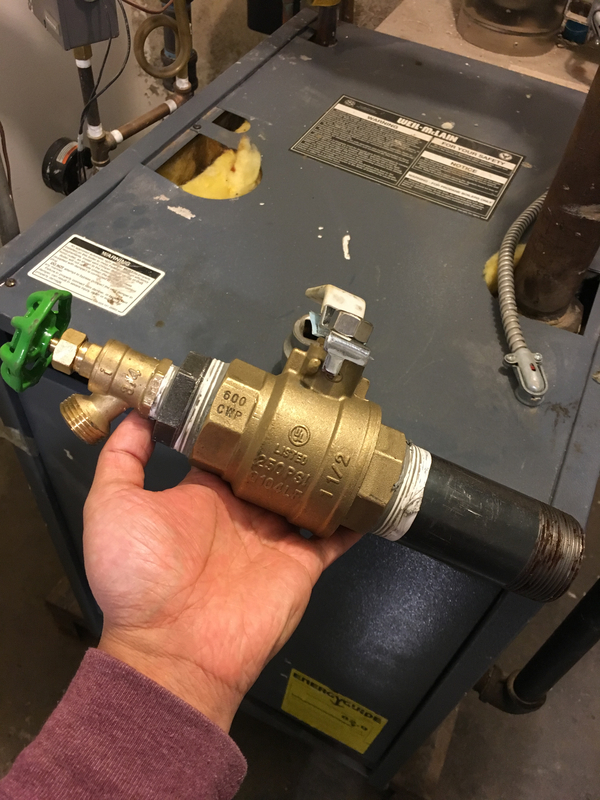 If the primary Pressuretrol fails, that manual Reset Pressuretrol will shut things down at 3 to 5PSI and require you to take a look at the problem before you manually reset the system. The current 10 PSI is too high, even for a manual reset. You do need Vents. Post some pictures. You can stay with this posting, just add more to the header title. Often 2 posts for the same boiler get things confused. Photos of my pipes attached. Boiler is located in front corner of the house, approx 20’ main runs to the back and stops at staircase wall. 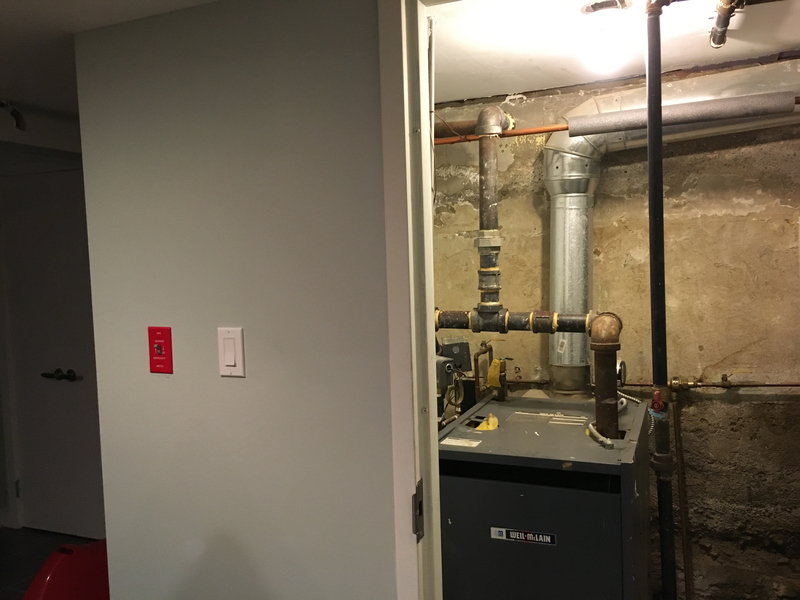 I believe a copper return pipe is inside that wall, as the wall is warm there and a thinner copper pipe runs along the floor perimeter back to the boiler. I’m positive there are no main vents. Where and how should I install one?? 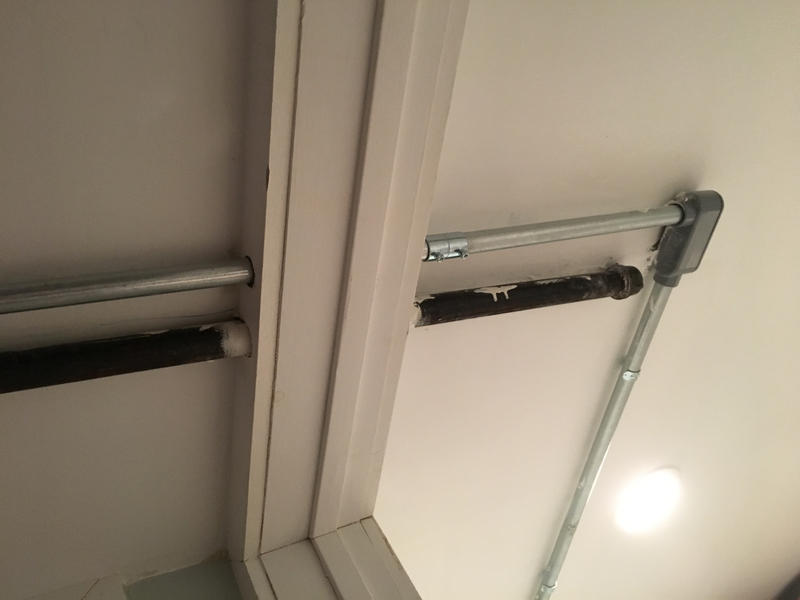 The two thinner pipes, one was cut and capped off, the other runs to a new rad in the rear extension. 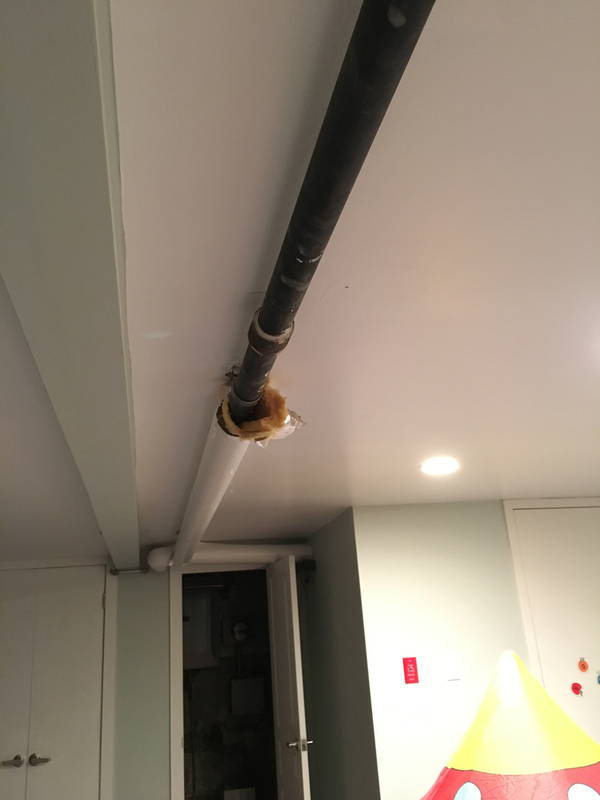 Now that I know a little better, this pipe seems like it could’ve been installed better, but no one wanted to cut into the already finished ceiling. I think at the very least it should run straight out of the main instead of that elbow? Don't know why they elbowed that pipe like that, unless there is an obstruction further down the line that would have prevented a straight shot. In any case, if there is enough pitch on that return, it shouldn't be a problem. A vent should be installed on the Main, anywhere after the last radiator run-out or it can be installed on the return that runs off of the end of the main, before it drops down and becomes a wet return. Ok so tonight I noticed my sight glass was full and not moving, so I took it apart and the top fittinf was completely gunked up with mud. Yikes. Poked it out with the metal rod that protects the glass and now it is nice and clear and halfway where it should be. Also drained out the wet return, yikes even more black water. Anyways I now realize that I can install a skim tap, hopefully the plug won’t be difficult to remove. 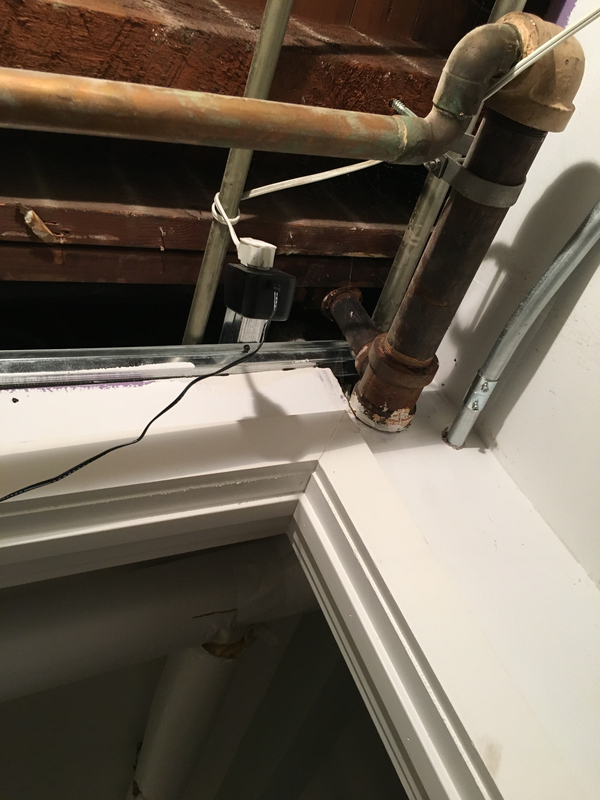 I was afraid that there wasn’t enough clearance room to physically get in there and loosen the plug if it is as difficult as some have made it sound. Just need to get the right tools and fittings and I’ll try to get this done over the weekend! Still the matter of the main vent though. 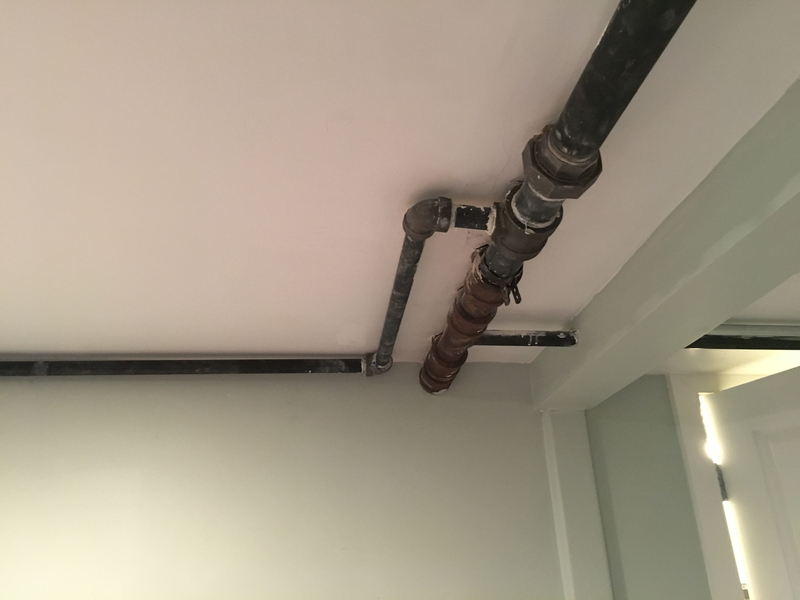 The main has several couplings and unions that branch out to the radiators, before going into the wall where it drops down as a copper pipe inside the wall. Thoughts? The piping around the boiler looks like it may be undersized. What model Weil-McLain is it? WM PEG-45. The riser and header are 2” as per manual. Tonight my buddy fixed me up with some fittings for the skim tap, but we are still trying to open the plug. A 1-1/8 crescent was the right fit but couldn’t get it to budge - and he’s a big guy. We sprayed it with some WD40 and will try it again tomorrow with an impact drill. Any tips would be appreciated! Should the boiler be off and cold or warm is ok? A cheater pipe is always handy for leverage. Get rid of that bushing and hose spigot. The skim port valve should be full size. 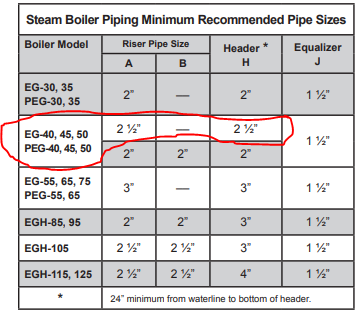 No the manual clearly states 2 1/2" minimum for that boiler, you may use 2" ONLY if both risers are utilized, which wasn't done in your case. If that is 2" the boiler is piped wrong. For reference going from 2" to 2 1/2" equates to ~43% increase in pipe volume which is pretty significant. For me, that boiler has 3" tappings so it would have been 3". > WM PEG-45. The riser and header are 2” as per manual. > No the manual clearly states 2 1/2" minimum for that boiler, you may use 2" ONLY if both risers are utilized, which wasn't done in your case. > If that is 2" the boiler is piped wrong. For reference going from 2" to 2 1/2" equates to ~43% increase in pipe volume which is pretty significant. For me, that boiler has 3" tappings so it would have been 3". In any event you still need the skim tapping. A 8-point socket is worth the investment for the square head plug. The impact would be the way to go. PB blaster or Kroil spray will out do WD several times over. Several applications over 2 days will help. I'm sure it is, but this is a common theme we see on this website. People getting improper installs by people that shouldn't be doing the work, but don't know any better. You could suggest to your contractor they stop in here and we can help educate them, but since they apparently can't be bothered to read the manual that came with the boiler I doubt that would do any good. One thing that drives this are installers who don't own a threading machine that goes over 2" pipe. If they won't invest in the right tools, what else won't they do? > In any event you still need the skim tapping. > A 8-point socket is worth the investment for the square head plug. The impact would be the way to go. > PB blaster or Kroil spray will out do WD several times over. > Several applications over 2 days will help. Sprayed with AeroKroil every morning and every night for 6 days. Bought 1-1/8”, 1/2” drive, 8 point deep socket on amazon. A prayer, some muscle, and finally a corded impact gun got this sucker open. The plug itself had so much muddy gunk on it, yuck! Skimmed for a few hours, then flushed from bottom drain and condensate return. Must’ve emptied about 18-20 gallons of brown water. Will repeat again after a few days. Thanks for the tips, and hope this helps someone else!